Maybe it’s because of all the false advertising out there? Practically every paid ad on Google for head lice has a little bit of…..fluff. It’s expensive to advertise so you really have to make it fluffy to make it count! Here’s an ad from an OTC product that we KNOW doesn’t require 1 treatment, in fact, the instructions on the box say treat again in 7-10 days. What parents really need to know is that getting rid of head lice is a process – period. You need the right tools and the right products to get rid of head lice and there isn’t any miracle cure. Much like weight loss, we didn’t get fat over night, we aren’t going to get skinny over night and we aren’t going to get rid of head lice in one treatment, one day or ONE anything else, let’s repeat that again – getting rid of lice is a process. Or this ad – buy once and use again and again? What does that even mean? Anyone who has ever experienced a bout of head lice certainly doesn’t want to get it again and again? Tell us about your story and experience with head lice treatments. Were you successful with OTC products? What’s your success story? Can Black People Get Lice? Here’s the truth about head lice and African Americans. If you don’t know what a head louse is, it’s a parasites about the size of a sesame seed and it feeds on human blood. If you need more factual information head over to our FAQ&A’s. The head louse, Pediculus capitis humanus, is by no means a new nuisance. The parasite has been an unwelcome companion to humans as far back as the days of Cleopatra and beyond. Read more about Where Do Lice Come From? Let’s first explain the differences between black and Caucasian hair. To understand the difference between African-American, Black and Caucasian hair it’s important to understand how hair grows. Beneth the surface of our scalp lie thousands of hair follides. They are found in what is called the dermis. The texture and the thickness of each individuals hair is dependent upon the shape and size of the hair follicle. How thick a persons hair is depends on both the size of the hair follicles and how many there are on each individuals scalp. The wave pattern and bonding is what makes the big difference between African-American hair and Caucasian hair. The principal bonds are hydrogen and polypeptide. Close to 88% of the hair is made of polypeptide bonds. They are difficult to break and are what gives the hair its strength. This bond is also what is responsible for the tight curls. In order to break the bond a permanent straightening treatment has to happen. African-American hair tends to produce plenty of sebum or protective oils, generally more than other ethnicity’s hair. Head lice find it difficult to navigate in black hair because of the construction of the hair. It is hard for the tiny insects to “get a foothold” on all of the twists and turns of black hair, so they tend to prefer European hair because it is easier to navigate. So, the answer to the question is YES, African Americans can get head lice although rarely in the US. In Africa countries though native children are infested with head lice but their head lice are adapted to hang onto the oval cross section of curly hairs. If you’re interested in further studies you can refer to Terri Meinking a head lice researcher at the University of Miami School of Medicine, discussion in Current Problems in Dermatology. Head lice have to be highly adapted to their environment if they are going to thrive. This means they have to be able to scoot around easily in human hair. The shape of hair strands differ between different racial groups and this affects head lice. Africans living in Africa get head lice that are highly adapted to living in hair with strands that are oval in cross-section. The differences are small but they are significant. Caucasians have round hair strands and have head lice that are adapted to this shape. In North America most head lice seem to come from the Caucasian strain and thrive in children with round hair strands, that is mainly Caucasian and Hispanic children. There are some cases of head lice in African-American children but the pool of these head lice seems to be very much smaller and so the incidence of head lice is much lower. There are plenty of reports of bi-racial children getting head lice so we have to assume that their hair is suitable for at least one, maybe both strains of head lice to prosper. Want to fall out of your seat laughing? Read the Bitchin’ Sisters account and suggestions on head lice in the Huffington Post, it’s hysterical. If profanity bothers you – pass on the read. The end of the Summer brings the start of a whole new school year, with different subjects, teachers, schedules and people etc. Being well-organized and prepared makes going back to school enjoyable and successful. Buying notebooks and scoping out sales is the easy part. There are less tangible things you can do as well. Here are 7 ways you can help your child — and yourself — get ready to go back to school. Get up & get out. Practice leaving the house in the morning. Yes, actually getting dressed out of PJ’s and going somewhere scheduled. It will help to break the summer habits like relaxing in your PJ’s until Noon! It’s easier to follow a routine if you have it planned out. Plan what time and where your child will study. A routine helps every one stay in sync. Before school begins line up a trusted babysitter or group of parents that can help out if the children get sick (or have head lice). Know the school policy for release forms etc. Be sure to meet your children’s teachers and be an active participant in their school lives. Get kids involved in ownership of their plans. Have them decide their routine and set expectations – they’ll be more likely to follow the plan! Where Do Lice Come From? Lice are said to be prevalent even before the recording of history began. The earliest recorded presence of head lice dates back over one million years ago. The fact that head lice have been prevalent for over one million years suggests that humans and lice have a long and itchy history together. This research is currently being used for the development of a time line for human evolution. Fact: Lice have been found on ancient Egyptian mummified bodies. The earliest records of head lice treatment in the United States is from the early 1800’s. The Wisconsin Historical Museum has a bone lice comb from the frontier days (pictured). Fort Crawford was not a notably healthy environment. Soldiers could expect a seasonal threat of mosquito-born malaria as well as periodic outbreaks of dysentery, cholera, and typhus. The lice comb pictured was excavated from the site of Fort Crawford by archaeologists in the 1930’s documenting one other insect nuisance Fort Crawford soldiers had to endure: head lice. After a series of floods during the 1820s which slowly degraded the structure, the Army finally abandoned the wooden fort and built a second Fort Crawford of cut stone on higher ground a short distance away. Not until 1864 when Louis Pasteur definitively document the full developmental cycle of lice and other insects did the prevention of infestations begin. Head lice became less prevalent during the period of World War II (mid 1900’s). This was due to the use of the chemical agent DDT. This chemical agent was a powerful pesticide that was utilized to destroy mosquitoes that spread malaria. It also had effects on decreasing the populations of head lice. Previously routine companions of people of all economic levels, pesticides and improvements in daily hygiene made head lice infestations relatively rare in modernized countries by the mid-twentieth century. Soldiers and visitors to Fort Crawford, however, dealt with head lice as a normal part of life, simply accepting periodic infestation in much the same way as they would have to deal with an occasional bout of influenza or a cold. To manage an outbreak people used fine tooth combs to remove adult lice and their eggs (or nits) from their hair and then crushed them. Other treatments of the time included the application of an ointment of brimstone (sulphur) and lard to reduce the itching, and saturating the hair with ‘red precipity’ (mercuric oxide powder) to try to kill the lice. The latter treatment probably slowly harmed the patient as much as it helped, but doctors still frequently used mercury compounds during the early nineteenth century as most were not convinced of the element’s poisonous properties. Fine tooth combs (like the Terminator Comb) and those used at Fort Crawford still play a large role in combating lice infestations to this day. Best Lice Combs – A $15 Comb Can Save you Some Big Lice Headaches. Early detection of head lice is the best prevention. 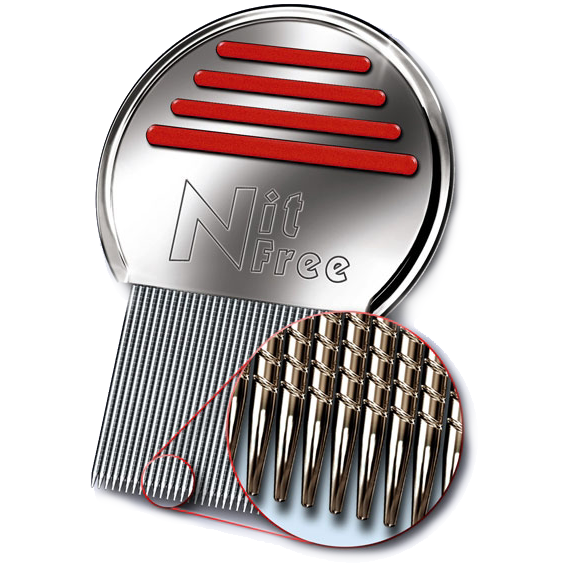 Most experts agree that nit, or lice egg, removal is the single most important part of every head lice control treatment and using the proper lice comb is at the heart of the whole process. Removing nits from hairs by whatever means is called “nit-picking”. Lice combs are made from either metal or plastic. Metal combs, with stiff tines, or teeth, and narrow slots between tines, will effectively remove or crush nits while plastic combs tend to “skip over” nits and are not as effective. Plastic combs can be used to untangle long hair before nit-combing with a metal comb. You’ll find the combs provided in the OTC boxes inefficient. A lice comb is a great diagnostic device. Studies have found that a lice comb is the best tool for finding live lice. Do a wet head check with a professional lice comb like the Nit Terminator for early detection. Simply get the entire head wet and comb through the hair with a professional nit comb swiping on a damp paper towel after each section of hair is combed. If your child has lice you will see nits or live lice come out onto the paper towel. Don’t know what your looking at? Send an email to look@virginiabeachlicetreatment.com and they’ll access the situation for free! A high-quality lice comb has long, fine, metal teeth that are very close together. Most experts will advise not to bother with plastic combs or the ones that come in the lice medicine packages (and we agree). Just because it’s a metal comb it doesn’t mean its the best and a professional lice removal comb. This comb is purchased by many families because it’s metal, but its not the best as the teeth are not long enough. You may see or hear about electronic combs, but according to Richard Pollack, a lice expert at the Harvard School of Public Health, the electronic versions probably offer no advantage over a traditional, well-designed lice comb and we find that the electronic combs tend to identify anything in the hair, lint, dirt, or any type of particles not necessarily lice. A good professional nit comb is imperative to getting rid of lice. We feel like you really can’t do the job without the proper tools. 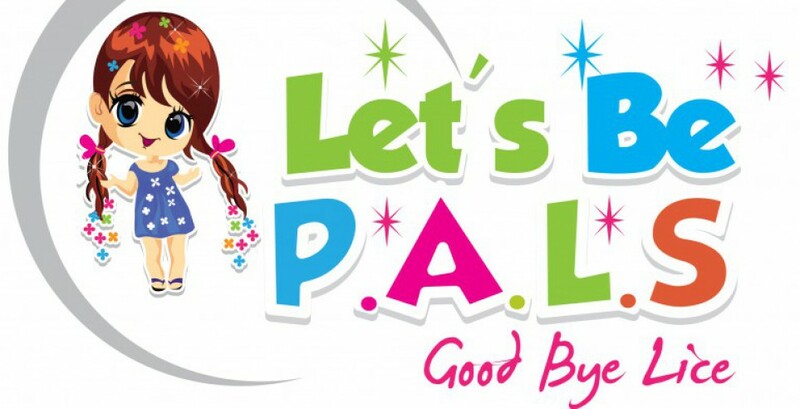 If you have questions or need other tips and tricks if you’re going it alone, Let’s Be PALS lice treatment of Virginia Beach offers free advice or you can purchase our lice eliminating products online for half the price of other big name brand lice product companies. How Do You Get Lice? Did I get it here? Head Lice. How do I know where I got it? It’s the question all our clients ask -where did we get it? You can get lice by coming into contact with either lice or their eggs. Lice are almost always spread through head to head contact and prominent among children ages 3-11. Head lice are a very common problem, affecting millions of people each year — especially preschool and elementary school-aged children and their close contacts. Yes, boys get them but not as frequently as girls probably due to the length of the hair and the nature of boys to have less head to head contact. It’s important not to play the blame game, you could spend hours trying to figure out where you’re family got lice and you will just never know for sure. Spend your time taking it out on the lice – those sneaky little creepers. We can generally tell which family member had it first if more than one family member is infested (and they usually are). People are typically infested on average 4 weeks before they even discover they have lice. They’re tiny. And sometimes speedy (6-32 cm/min). Getting head lice isn’t a sign of bad personal hygiene or an unclean living environment. This itchy infestation, also called pediculosis capitis, most commonly spreads through close personal contact and by sharing personal belongings. Every single Mom we meet turns into obsessive compulsive super charged over the top Molly Maid on steroids. Do they need to? No, washing your sheets and recently worn clothes in hot water and high heat for 30 minutes. Soak your brushes in hot water (we know – you’ve already thrown them out – we hear it all the time) and do some vacuuming on any cloth areas that the infested person sits frequently is enough. Do you need to bag everything? No. If it can be washed, dryed or vacuumed you don’t need to bag it. It’s important to save your energy for head checks and combing. If Moms spent as much time on a child’s head as they do frantically cleaning their homes, well we are here for you Moms we know what your going through and empathizes so let’s move on. Bottom line: We humans are uniquely prone to infestations. When it comes to recognizing, treating, and containing the spread of lice, we’re all in this together. Be sure to email, tweet or share this information with others, including school officials. But if lice happens in your community, try to avoid the blame game. After all, anyone can have a lousy day. What do you think? Is it possible to avoid head lice without making yourself crazy? Do you have any lice stories you’d be willing to share? You can get more information on head lice and head lice treatments at http://www.virginiabeachlicetreatment.com, or jump on the Twitter bandwagon and follow @licetreatmentva. Also check out and Like Us on our Facebook page or Google Plus and add us to your circles. We’re Mobile We Come To You! 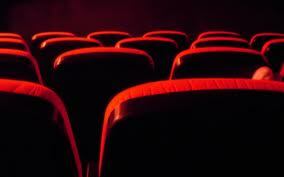 We offer in shop or in home services 7 days a week 7am-10pm for your convenience. What are my Lice Treatment Options? Head Lice Salon or In Home Lice Treatment? Prevention Shampoos For Lice – Do They Work?